Welcome to the website of Martin Hohenadler! I’m currently a postdoctoral researcher at the Institute for Theoretical Physics and Astronomy at the University of Würzburg. 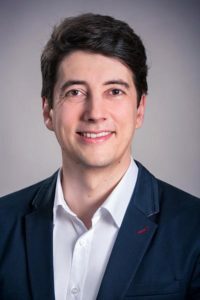 I’m also a principle investigator in the Forschergruppe FOR 1807 (Advanced Computational Methods for Strongly Correlated Quantum Systems) and the Sonderforschungsbreich SFB 1170 (Topological and Correlated Electronics at Surfaces and Interfaces). From 2008 to 2010, I worked as an engineer for OSRAM Opto Semiconductors GmbH. Before that, I was an FWF Schrödinger Fellow in the Theory of Condensed Matter Group at the University of Cambridge. I hold a doctoral degree and a diploma degree from TU Graz. You may be interested in some highlights of my research and my publications.